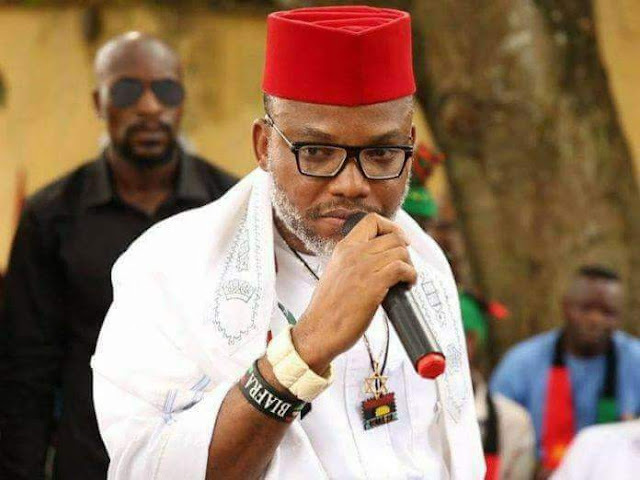 The leadership and worldwide family of the indigenous people of Biafra (IPOB) under the supreme command and leadership of Mazi Nnamdi Kanu condemn the desperate and shameless efforts of the Nigerian Government and her politicians including some government media propaganda machines, who it seems are now the defenders of evil in the land, to discredit and deceive the general public that there was a massive turn out of electorates in the just concluded Anambra state governorship election. Nothing could be further from the truth. Going by INEC's own figures of accredited voters, not up to 10,000 people participated in this keenly contested election involving more than 2.2 million registered voters. This represents only 0.45% of the entire electorate. No civilised society will regard such low number of voters as a credible enough number to sustain a democratic mandate of the office of the governor of a state. Every conscientious and right thinking person must be appalled at the level of deception and collusion currently going on between the corrupt Nigerian government, her politicians and some unethical media propaganda machines, who are prepared to publish blatant falsehood as part of a wider conspiracy to deny the inevitable fact that IPOB boycott was obeyed by 99.9% of voters in Anambra State. IPOB rendered the whole exercise meaningless. What this proves is that IPOB is clearly in the majority in Anambra State with 99% of the registered voters abstaining from the polls. It will be fair therefore to conclude that the whole electorate in Anambra State heeded the boycott order issued by the IPOB leader Mazi Nnamdi Kanu. It is not surprising to us that in the face of such resounding victory for IPOB, the government have sought to downplay the significance of the very poor turn out of voters. The turnout was not low as speculated by most media houses, it could only be characterised by poor turn out. Luckily, we have all the evidence of the few family friends and party agents that bothered to turn up at every polling centres to vote as we expected. There is abundant picture and video evidence to affirm that Anambra governorship elections were boycotted by the people, with some polling stations in Awka South registering zero voter participation. That Lai Mohammed's Ministry of Information has gone into overdrive in trying to deceive and discredit the effective election boycott experienced across the whole of Anambra State yesterday, tells the story of the success of the boycott. It is very clear to all now that this APC Federal Government of Nigeria with their collaborators, were comprehensively defeated by IPOB yesterday, both in superiority of argument and strategy. Anambra have spoken loud and clear that they want Biafra. We reiterate our demand for a referendum, failure of which will leave IPOB no option than to announce a date at the earliest possible time for a plebiscite to be conducted to settle this issue once and for all. We can assure Aso Rock and their South East slaves that 2019 will be significantly worse than what was experienced yesterday in Anambra State. Nigeria won't be able to produce a president because South East and South South will not participate in the next presidential elections. This intellectual battle is one that Nigeria can never ever win. The sooner they come to their senses and realise this inevitability the better.